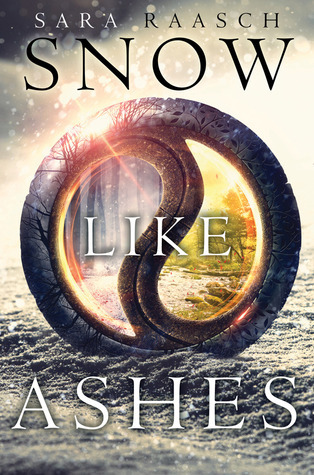 "Snow Like Ashes" was the July book of the month for the "Cover 2 Cover Book Club". While we didn't have the twitter chat due to unforeseen circumstances, we still read the book and had a discussion thread on Goodreads. This book actually surprised me. I thought I was not going to enjoy it, especially considering that it took me two tries to get through the first two chapters, but I was pleasantly surprised after I pushed through the beginning and actually enjoyed the book. At the start, I thought Meira was hella annoying and completely fixated on the prince, but as she goes through character development, her character became more enjoyable and I actually was a fan on her narration and just her as a person. It took me awhile to get the hang of the world building, but after some time, I was cool with it. The universe is clearly thought out, however I do wish some things were explained better. There were times when you were infodumped and it was just too much to remember or even care about. As for the relationships and love triangle... Hmm... In the beginning, I was not even remotely a fan of the love triangle, but as it progressed, I didn't mind too much. I made a decision on who I want Meira to be with, but from what I've heard, he changes and doesn't get chosen which, is a bummer cause he was hella dreamy. Overall, this book was a pleasantly good one. That being said, I also have no desire to continue the series. The book wrapped up rather nicely and while I know there is going to be more conflict and stuff while arise so that the series is no longer wrapped up, I'm cool with ending it here.